Supernanny Icon: Fräulein Maria | Y'all Behave! There are so many inspiring things about my job. For me, nannying is more of a calling, which brings to mind the story of a certain Supernanny, Fräulein Maria, who also found her true calling to be with a family who -until she entered their lives- had been estranged from one another. 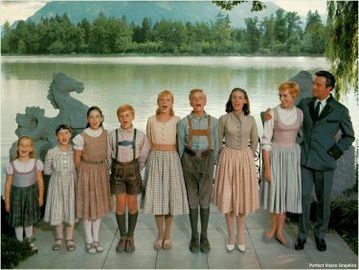 Maria’s effect on the children and their father, Captain Von Trapp is a bonding one, her sweetness and song uniting them together; the emotional climax of the film happening when the Captain hears his children singing and, overcome with his long repressed love for them, and surmounting his fears about being a father, joins them in song. Maria takes in the fruits of her labors, watching on quietly before leaving the family to connect on their own, as was her intention. (A true Supernanny knows when to take a step back and let families move forward without her.) Not a dry eye in the house in this scene, certainly mine are always filled with tears; the family is whole again, thanks to Supernanny Fräulein Maria! Maria’s admirable qualities are numerous. She’s creative; she not only belts out extemporaneously beautiful tunes at a moment’s notice, but can fashion her old drapes into stylish play clothes for the formerly dourly dressed Von Trapp kiddos. It is also worth noting that she takes on the charge of SEVEN children! SEVEN on a 24/7 basis! That’s one accomplishment I can never lay claim to! And in true Supernanny fashion, Maria forms a unique bond with each child, understanding the different personalities of each, and adjusting her demeanor to best support each kiddo. She’s an expert listener, only dispensing helpful hints, letting the children solve their own problems, though with the eldest Liesel she rightly offers excellent relationship advice. (“Darling 16 going on 17, wa-it a ye-ar or 2!” Um Yeah!) Not bad for a gal whose only experience of relationships had thus far been extremely limited, having lived her young adult life behind convent walls! Which brings me to an interesting comparison between yours truly and Maria. Though I venerate her as a Supernanny to strive to be like, the similarities between myself, and Maria are relatively remarkable when considered. 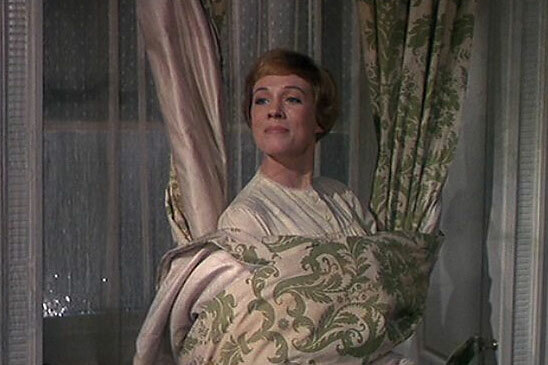 Maria was studying to become a nun when she was sent to become a governess for the Von Trapp family. I wanted to become a nun all during elementary, inspired by the nuns I knew at school, my fourth grade teacher Sister Margaret Patrice in particular. Sr. Margaret has a great sense of humor (she had quite an arsenal of catch phrases), and a quiet command over her students. I remember studying like a madwoman for her class spelling bees, always striving to do my best for her. 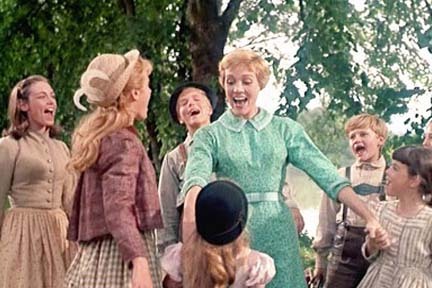 Of course, my vocation is one of matrimony, and I couldn’t be happier, just as Maria’s destiny lay with Captain Von Trapp. (Here it could be said that Fräulein Maria does break a cardinal rule of nannying, aka do not fraternize with the fathers! Though I suppose a dashing widower may be the exception.) Which brings me to our next kindred connection, she loves a Captain, I love a seaman also! My fiancé Luke is a Dynamic Positioning Operator aboard semi-submersibles out in the gulf. What are the odds? We both love music, and singing as part of our daily routine, and we’re both bubbly blondes with good intentions. I would count myself doubly blessed to be considered in the same league as Fräulein Maria and I endeavor in my daily life as a Supernanny to imitate Maria’s positivity, energy, and devotion to the kiddos. Her dedication is a song to be sung by all Supernannies!